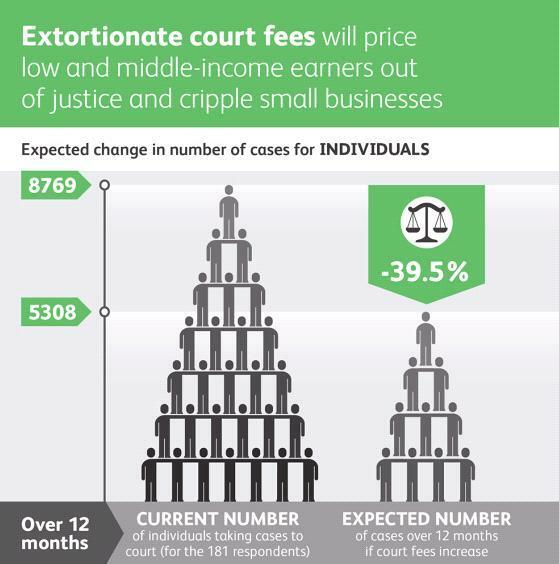 Infographic courtesy of the Law Society of England and Wales. We’ve already written about the drastic effect Tribunal fees have had on applications. Not there is another significant threat to access to justice. Now civil claims which have currently got a fee of £1,515 are going to be rocketing up to £10,000. This decision went through the House of Lords on Wednesday. You can read more about it here. Obviously this will have a astounding affect on access to justice. There is a petition opposing this change here. Please sign it. This entry was posted in Uncategorized and tagged access to justice, civil claims, court fees. Bookmark the permalink.